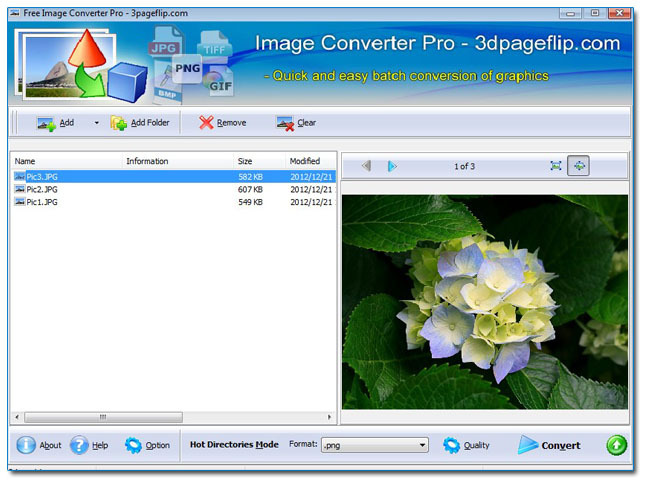 100% Free 3DPageFlip Image Converter- Convert Between Image Formats!3DPageFlip Image Converter freeware is graphic transfer program that allow you to convert a wide range of image file formats. Its a simple yet powerful tool for easy handle. Just download and have a quick install and you can begin your image conversion. The free image converter offers three modes for different image conversion. You can use image Batch Convert Mode Hot Directory for picture conversion Command Line as the professional resolution to change graphics formats.  It supports png bmp gif ico jpg jp2 pcx tga tif etc.The image converter freeware support to convert png bmp gif ico jpg jp2 pcx tga tif to png bmp gif ico jpg jp2 pcx tga tif.PNG - Portable Network GraphicsBMP - Microsoft Windows BitmapGIF - CompuServe Graphics Interchange FormatICO - Computer Icons in Microsoft WindowsJPG or JP2 - Joint Photographic Experts Group JFIF formatPCX - IBM PC Paintbrush FileTGA - Truevision Targa ImageTIF -Tagged Image File FormatOption:Option setting in 3DPageFlip Image Converter is to define output file name. This is a quick way to generate sequence file name for the converted images. You can use the original file title or original name as new file name. All these settings are personalized for image conversion. In addition you can crop images to selected size or shrink or enlarge them. There is a resample filter for free using as well! More and more you can tick Flip image in Rotate Image tab to set direction for your output images. The easy one-click process makes it perfect to converting your image files and digital photos for any posting sharing emailing.Quality:This is an alternative option to set color size for all output images. You can choose the option from the relative column. Then you can overview the rendering from the window.